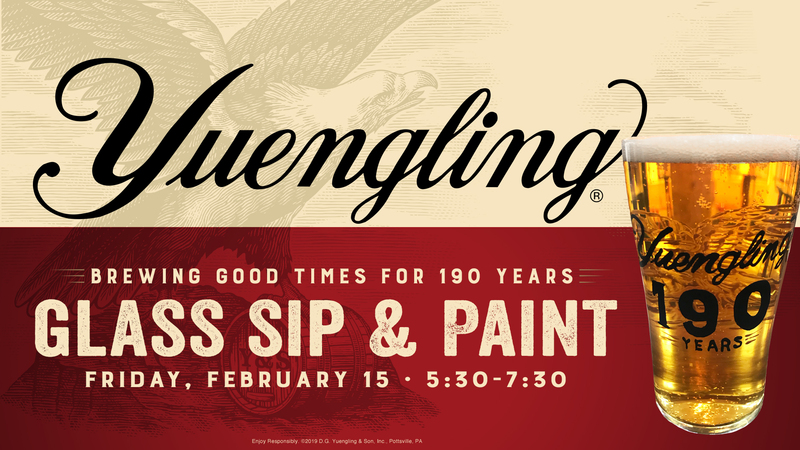 Create your own Yuengling 190th Anniversary glass while sipping beer and indulging in sweet treats like Yuengling Porter cupcakes, chocolate covered strawberries, pretzels and beer bread by Sweet Barista! Bring your Valentines for a fun night out. The class will be taught by Andrea Perno. Registration is required, class space is limited. Update: this event is now sold out.